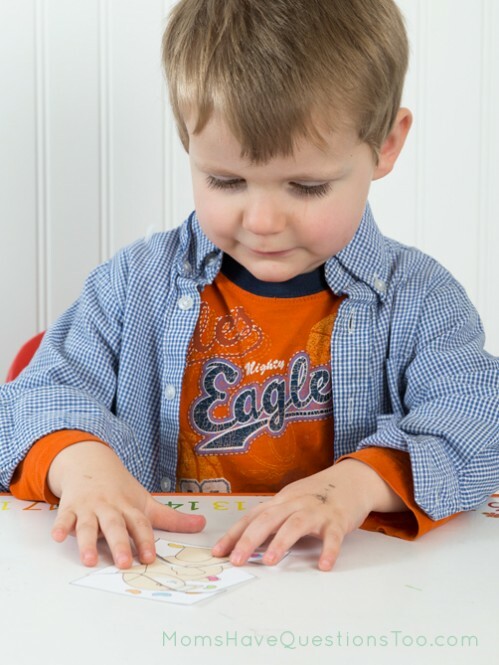 Where can I find colorful Easter printables that I can use with my toddler or preschooler? I love all the bright colors that are associated with Easter and spring. Normally I love winter, but since I wasn’t able to ski this past winter, due to being pregnant :), I was more excited than ever for spring to arrive. I wanted to create a fun activity for Smiley Man that wasn’t your typical Easter craft, but still fun to do. It turns out this matching activity and the 3 part puzzles were a hit! 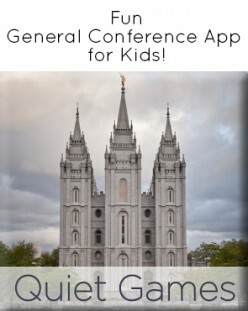 Start by downloading the printables and printing them off. Cut out each of the chicks and eggs, along with each of the puzzles and pieces. Smiley Man is getting so much better at matching his colors and did really well with this activity. It’s pretty simple. You child just has to match the chick to the egg of the same color. If your child hasn’t done very much color matching, start by giving them only two or three colors at a time. If they are more experience, place all the colors out together. The 3-part puzzles were a bit tricky for Smiley. If the pieces were very mixed up he had a hard time lining them up. This activity may be better suited for a preschooler. If you do it with your toddler, be sure to only put out one puzzle at a time. You can leave the pieces in order so they start to understand the idea of matching the shape of the pieces. 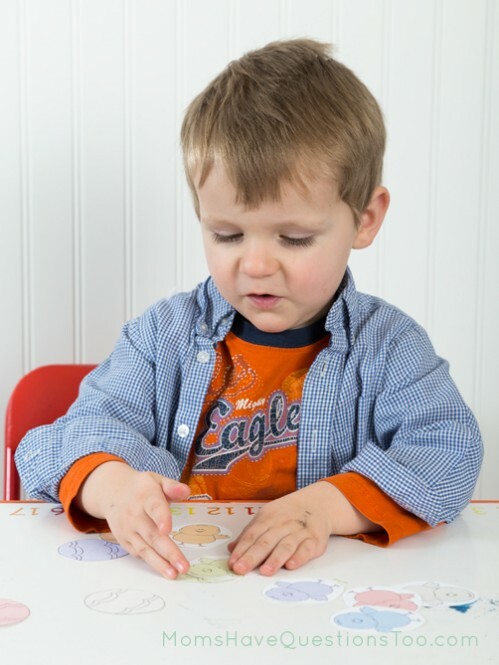 A preschooler will likely be able to do the puzzles pretty quickly. You can mix up the pieces to several puzzles and then have them try to find the pieces that match to make things a little more difficult. 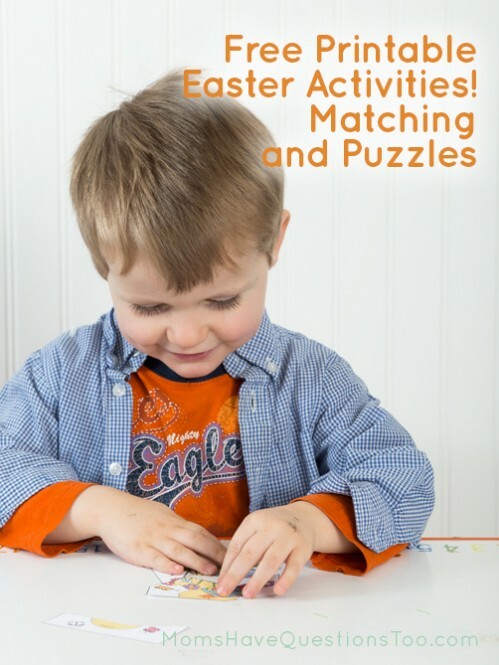 We hope you enjoy these colorful Easter printable activities! What activities do you do with your children around Easter time?